This is at the Waterfront Park, downtown Portland. This clip was taken by 8 News. 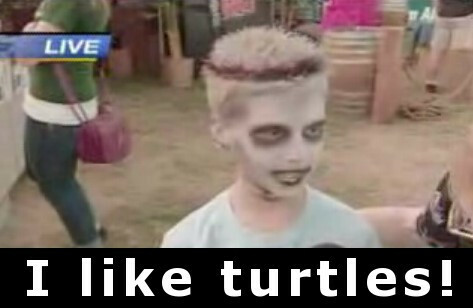 The boy, when asked a straightforward question, gave the simple but bizarre reply, "I like turtles." This has become an Internet phenomenon and indeed, a meme.